Released: TNPSC 2019 Exam Application form for the post of the Agricultural Officer was released on 3rd May 2018 and will remain open until 2nd June 2018. Candidates can fill the application form in this period. Mode: Before filling the application form, candidates must have scanned copy of photograph and signature which are to be uploaded. Fill all the details in the application form very carefully and once done, recheck and click the submit button. Candidates should provide a valid E-mail ID. Note that a change of E-mail ID can be made only after the submission. Online - Debit card/credit card/internet banking. Note: Concessions are provided to candidates who are SC, SC(A), ST, MBC/DC, BC(OBCM), BCM, Destitute Widows, Differently Abled Persons, Ex-servicemen, other categories. Persons, claiming concessions referred to above and other claims made in the application, have to produce evidence for such claims when called for, in case of failure, their application will be rejected. Candidates can visit the official website for the purpose getting full knowledge on concessions. Size: The photograph size should be between 20kb - 50kb. Format: JPG format or JPEG format. Size: The signature size should be between 10kb-20kb. Note: Signature should be done on an A4 size paper with the black ink pen and it should be clearly visible. to get the details of concession, one has to visit the official website. Candidates who are claiming concessions in the application, have to produce proof of such claim or the application is deemed to be rejected. Fee/Intimation fee once paid can neither be refunded back nor be transferred/kept as the reserve for any other exam. If the online transaction has been successfully completed an Application Number will be generated. Candidates should note their Application Number for future use and reference in respect of the post applied for. 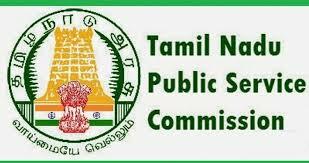 Note: Candidates are advised in their own interest to apply on-line much before the closing date and not to wait till the last date for depositing the fee/ intimation charges to avoid the possibility of disconnection/inability/failure to log on to the TNPSC's website on account of heavy load on internet/website. Candidates can avail exemption from paying examination fees as per the eligibility criteria.